While ‘farm to table’ seems to be a buzzword in the local foodie scene this year, The Halia Group had already gotten in on the trend in 2012 by launching the six-part Project Food Prints series at their Botanic Gardens branch. The initiative aims to promote responsible and informed food consumption by educating diners on where and how their meals were sourced. 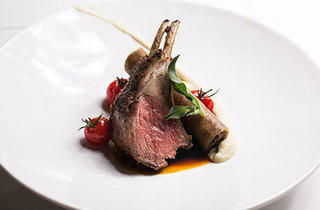 Their fourth edition will be coming up on 23 October and the central ingredient this time is the Western Australian Dorper Lamb – a breed known for its a milder flavour and lack of gaminess. A five-course dinner has been specially designed by The Halia’s executive chef, Peter Rollinson, with six complementary wine pairings by Domaine de L’Hortus to match. On the menu is a range of delicious and innovative dishes, including the Dorper lamb Carpaccio and tartare, as well as a large ravioli consisting braised lamb neck. 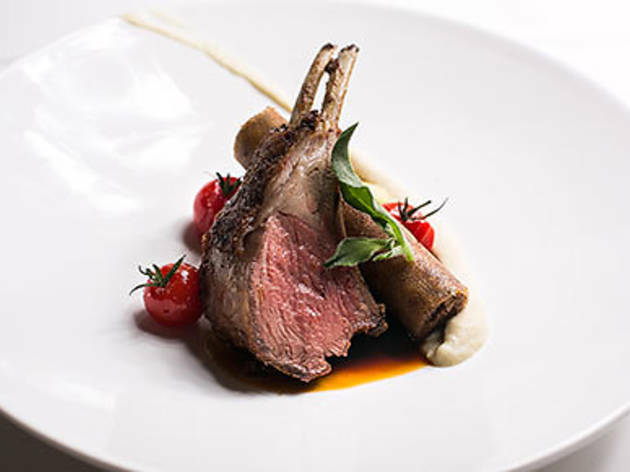 The grilled Dorper lamb with Greek salad garnish is tender and juicy, while the fragrant and delicate flavour of the meat is most prominent in the roasted cutlet and braised shank cigar (named after the shape it’s been rolled into). Dessert is a beautifully-presented beetroot and blueberry cheesecake, served in the shape of a turnip and not to be missed. Dinner priced at $138++ per person and limited to 60 guests only on a first come first serve basis. Call Alice Tang on 6287 0711 or email alicetang@thehalia.com to book. View the full menu at their website.